As the saying goes, they don’t quite make them like Randy Savage anymore. Simply put, he is, and was, unforgettable. From the voice to the look to the talent, his impact was felt on pop culture and still resonates today. Even those who hate wrestling (like my wife) know Randy Savage. Compare that to today and, well, you get the point. That’s why it’s surprising that there hasn’t been any independent documentaries on Savage before Wednesday night’s debut of the Viceland ‘Dark Side of The Ring’ series. Sure, there was the WWE version done a few years ago, but as a viewer, I would rather hear from a party who isn't so vested in retelling history the way they want it. But Viceland took a different path than just a straight Savage bio (A&E is giving us one next year anyway), focusing instead on the relationship with Savage and his wife/ex-wife Elizabeth. ‘The Match Made in Heaven’ is a worthy kickoff to the six-week series and is well worth the watch for wrestling and non-wrestling fans alike. It begins by telling the story of Savage and his road to the WWF, navigating efficiently through his dad’s ICW promotion, the Continental Wrestling Alliance, and eventually to Vinceland. The journey is presented in a way in which the filmmakers seemed to understand that most watching probably have a baseline knowledge of who Savage is. Going with a slightly beefier Cliffs Notes version of history was a move that works. Helping us navigate throughout Savage's career are an impressive group with Bruce Prichard, Eric Bischoff, Jake Roberts, Lanny Poffo, and others. Prichard especially is great throughout the near 50-minute film and while you never know what stories are real and what isn’t, he’s at least convincing enough where you believe him and he knows how to talk to the camera. We learn how Savage met Elizabeth Hulette in a charming story with a memorable quote about red eyes told by Scott Hall. 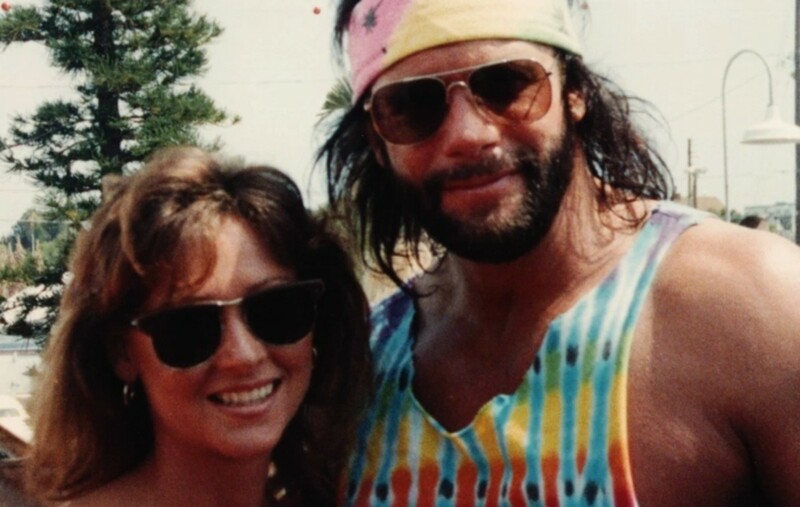 Linda Bollea, Hulk Hogan’s ex-wife, is the equal to Prichard in helping us work through Hulette’s life as she was close friends with her in the WWF days. The pictures she shares, including one of a shirtless and jacked Vince McMahon, and the stories of the Hogans and Savages hanging out are so important that it’s hard to think of who else could have done a better job. It’s here we get a sense of how, as Prichard explains, "art imitates life, life imitates art, and then you really get f*cked up." We see the on-screen relationship where Savage talks down to her and wants to make fans hate him because of his treatment of her. We also learn what extents he took to avoid her being embarrassed or critiqued visually, especially being around “the boys”. He loved her, but almost loved her too much. It's also a bit jarring to see how Savage talks to her during some of the promos and realizing how much things have changed culturally in the decades since then. Even in an entertainment format that people know is just that, I can't imagine anything like this in WWE in 2019. We spin through the formation and explosion of the Mega Powers and how life and art began to act as one. Eventually, Liz has enough and Bollea walks us through the beginning of the end of their relationship and how it split him, Liz, Linda, and Hulk apart. The music does a good job at building tension, especially during the Mega Powers split. It's also important to note that they use WWE footage throughout, but in a creative way that doesn't appear to violate any copyright issues. As we wind through their love life, we take a fun and interesting stop at the infamous cobra bite segment during an episode of Superstars of Wrestling. (Yes, apparently fun and cobra bites can go in the same sentence.) Roberts does a great Savage impersonation regarding a conversation and course of action the two had before hand when Savage doubted the snake was devenomized. Roberts also tells a story of how Savage wasn’t allowed in Hulette’s grandparents house as the angle was going on. This is the stuff we love: wrestling stories. The final act could essentially be dubbed “The End”. Bischoff helps us work through Savage coming to WCW and how, even divorced, Savage cared enough about his ex-wife to get her a $250,000 a year gig in the company too. But, WCW is where she met and fell in love with Lex Luger, a relationship that would end up tragically fatal. That story is told as well including some admissions by Bischoff of his perceptions of Luger after a conversation he had on his podcast. We wrap by going through Savage’s final years as a Special Olympics volunteer devotee, his eventual remarriage, and his death in a car accident before closing up shop. Considering the focus of the story, not that much. The group of those interviewed is extensive and used effectively. Outside promos, there’s no archival Hulette sitdown footage and only a brief Savage interview following her death, but perhaps there simply isn’t a lot out there to work with. There are no children to interview, but I did find myself wanting to hear from Savage’s second wife. (From what I understand, the request was made, but declined.) Still, Poffo's inclusion helps fill in some gaps from a family perspective. Yes. It’s a fast-paced 45 minute run through a familiar story but with some new wrinkles. It’s one that can keep a non-wrestling fan’s interest, but has enough meat on the bone to keep the wrestling crowd happy as well. Savage is such a fascinating figure that it would be hard to mess this up unless you had no access to anyone. Savage and Elizabeth remain a fascinating and sad part of wrestling’s past, and ‘The Match Made In Heaven’ does this part of their history justice.